Philips Lighting Alto® 2-Pin 25-Watt T8 G13 Medium energy advantage fluorescent lamp offers 2400 nominal Lumens and 2330 mean design Lumens of bright light output. It has color rendering index of 85 and 3500K color temperature that radiates light to the surrounding. The tubular shaped lamp has instant/program start ballast. It has an average life of 46000 hours at 3 hours instant start, 46000 hours at 3 hours program, 52000 hours at 12 hours program and 46000 hours at 12 hours instant start. 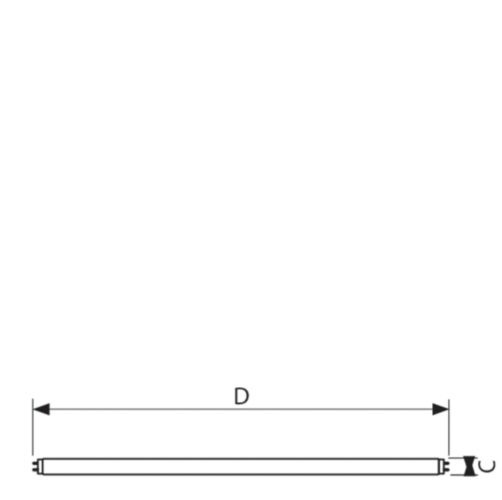 This extra long life lamp with green cap, has overall length of 48-inches.